The Obama administration on Saturday issued a veto on a proposed potential ban on a number of Apple products in the U.S., including some iPhones and iPad devices. “After extensive consultations with the agencies of the Trade Policy Staff Committee and the Trade Policy Review Group … I have decided to disapprove the USITC’s determination to issue an exclusion order and cease and desist order in this investigation,” a letter from the U.S. government to United States International Trade Commission Chairman Irving A. Williamson said. The president’s veto comes in response to a ruling made by the USITC in June, granting the South Korean electronics giant Samsung’s request for an import ban on older iPhones and iPads, which the ITC found to infringe one of Samsung’s standards-essential patents. 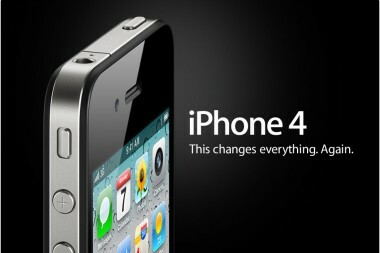 The order would have affected only AT&T iPhone models prior to the 4S, as well as the iPad 2 and earlier iPad versions. “We applaud the administration for standing up for innovation in this landmark case. Samsung was wrong to abuse the patent system in this way,” an Apple spokeswoman told AllThingsD. Apple was involved in an ongoing appeals process to overturn the ITC’s June ruling, arguing that the decision would cause “long-term, dynamic harm” to competition and innovation. The ITC was expected to deliver its final ruling on the appeal on Aug. 9. As The Wall Street Journal noted, this is the first time an administration has vetoed a product ban ruling by the ITC since the Reagan administration issued a veto in 1987. “The Administration is committed to promoting innovation and economic progress, including through providing adequate and effective protection and enforcement of intellectual property rights,” the letter said. Samsung is still free to pursue further litigation and patent-infringement claims through the courts.